Ø To change a product so as to meet a specification. Ø To dilute a contamination to insignificance. Ø To make a ‘new product’. Ø Regulates blood pressure, blood viscosity, vasoconstriction, immune and inflammatory responses. Ø LDL stands for "low-density lipoprotein," and HDL for "high-density lipoprotein"
Blending with oils like sesame oil, rice bran, etc. 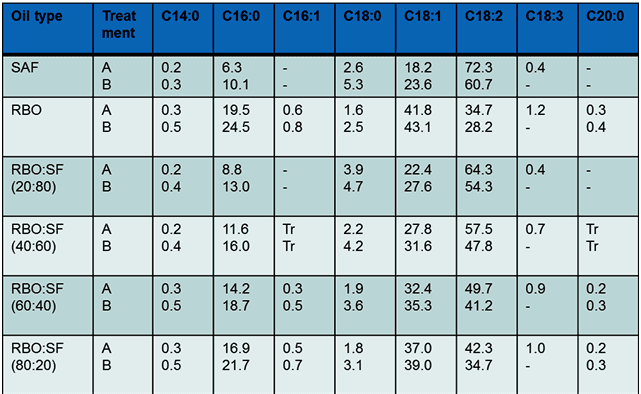 which contain natural antioxidants like oryzanol, sesamol, sesamine, sesamolin, etc. increases the oxidative stability of the oils. 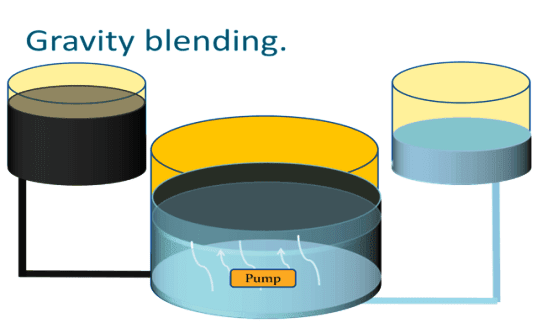 Ø Definition – Any substance that inhibits the oxidation of the substrate. 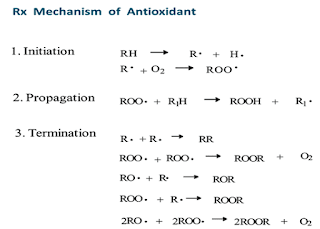 Ø Antioxidants act as free radical terminators, reducing agents. Ø It provides good nutrition to our body. 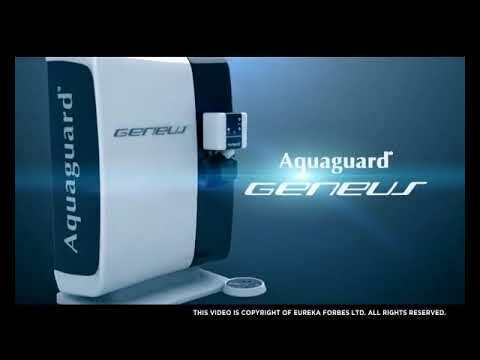 Ø Helps in treating coronary heart diseases. 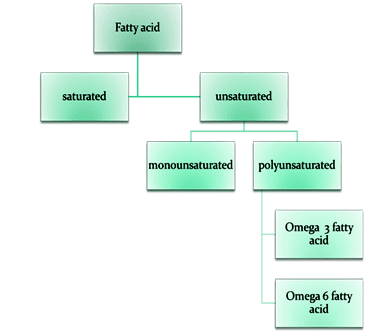 Ø Efficiently lowers the cholesterol level in our body, thereby reducing ill effects. Ø At high-temperature PUFA oxidized and polymerized. 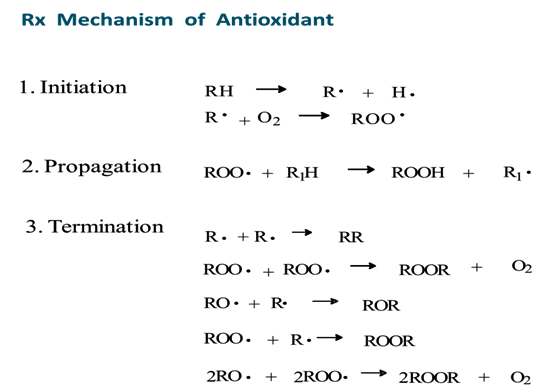 Ø Oxidation of PUFA produces free radicals. Ø Partial Hydrogenation: Addition of hydrogen in the presence of the catalyst. Ø High proportion of mono-unsaturated fatty acids and polyunsaturated fatty acids. 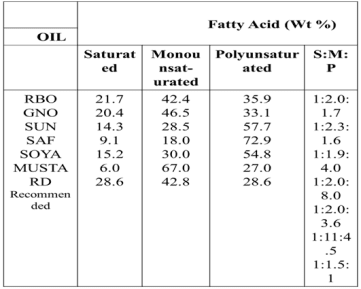 Ø It has a high content of Linoleic acid and low contents of Linolenic acid. Ø It has a longer shelf life. 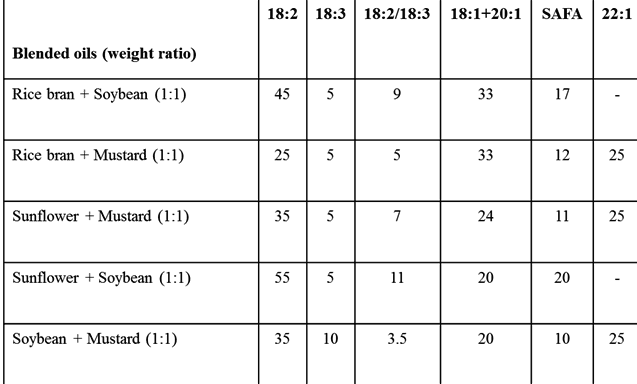 Ø Ratio of S:M:P is closer to that recommended WHO.